More than 2.2 million Americans over the age of 40 have glaucoma and another 2 million do not know they have the disease. It is known as the ‘silent stealer of vision’ because it can start to cause permanent vision loss without the patient being aware of the slow reduction in their peripheral vision. If you believe that glaucoma is becoming an issue with your health, visiting with a glaucoma physician Long Beach would be the best choice to get a proper diagnosis. Glaucoma is a group of diseases that can cause progressive vision loss. Vision loss occurs when the optic nerve (the cable that connects the eyeball to the brain) is damaged. One of the most important risk factors is increased intraocular pressure (IOP). Generally, the higher the IOP, the higher the risk for glaucoma, though there are some people with normal pressures who can still lose vision from glaucoma. Other significant risk factors include: family members with glaucoma, African-American heritage, people over the age of 60 (especially Hispanics), and oral steroid use. Though there is no cure for glaucoma, there are several treatment options available that can potentially control the disease. Depending on the type of glaucoma, the first line of treatment is usually one or more medicated drops that are instilled into the eye(s) on a daily basis. This drop is meant to reduce and stabilize the eye pressure to prevent further optic nerve damage. If successful, this drop can be continued indefinitely. If medications don’t sufficiently maintain IOP, there are several laser procedures that may help. 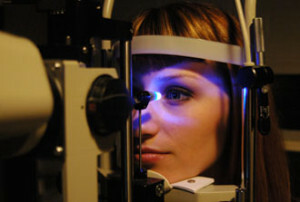 The type of laser and procedure depends on the type of glaucoma. One of the safest procedures for treating primary open angle glaucoma is called selective laser trabeculoplasty (SLT). The success rate is about 75-80% and can last up to 4 years. It reduces IOP by enhancing the outflow of fluid. This is a minimally invasive, in-office, painless procedure that can be repeated in the future. 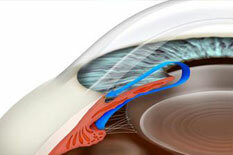 Our glaucoma surgeons perform this SLT procedure on several patients every week in our office.